Please enjoy this serialized novel as a bonus for signing up for my mailing list. 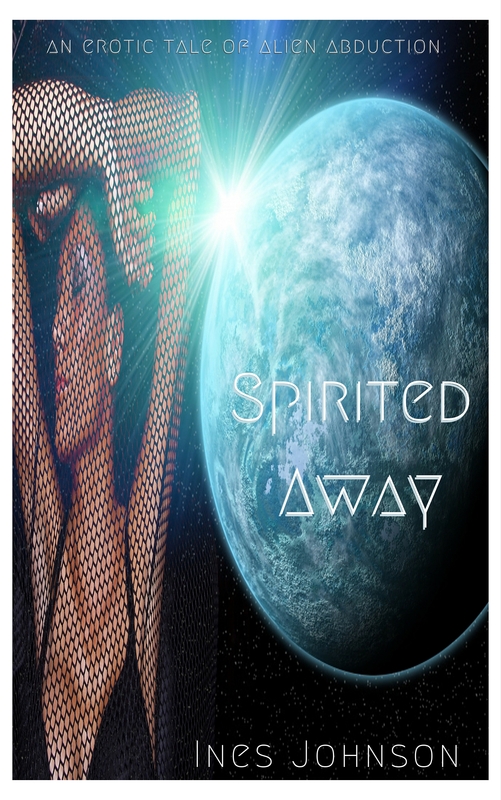 Spirited Away is a full length novel that will be delivered one chapter per week via the mailing list. It was bluer than he expected. A blue so deep, so dense, that it did more than call to him; it lulled him forward. Chen leaned forward, nearly pressing his nose to the screen that allowed him to spy the celestial body from his perch in the Heavens. The white clouds that moved over the blue taunted him, revealing a flash of sapphire on the eastern coast, covering up a waves of azure in the western hemisphere, while cobalt swirled in each pole. Chen stared so hard at the brilliant colors swirling before him that soon it felt as though he were looking directly into a star. Chen squinted. His large eyes drew to slits. The play of colors lulled him into such a state that he leaned far forward in his seat. Not just his eyes were pulled, something deep inside yearned for him to come closer. Chen came ever closer. Suddenly, he lost his balance and toppled over. Chen righted himself and opened his eyes wide. Traveling through the Heavens was a monochrome of black space and white light from stars. The color blue was not prevalent in the universe. He’d seen the Earth many times in his mind, but never before with his own eyes. His mother’s memories had not done the young planet justice. Soon, he would no longer need to filter his experience of that world through the prism of her recollections. He would be making his own memories, having his own experiences to sift through. And he wouldn’t be making them alone. The blue wasn’t the only thing pulling him to the planet. She was there on the planet, somewhere. Chen shifted in his seat at the very thought of her. The thought was a feeling that pulsed through him as a wave of energy. He had no face to go with the thought of her. He had no idea what she would look like, sound like, feel like. But he would soon. Chen pushed that thought aside, and pushed away from the console. Soon he would be a bonded male. But before he gave his soul over to a woman, he was determined to have a bit of fun. It had been so long since he’d felt pure joy. Chen turned back to the blue planet, a light of mischief in his eyes. He had a whole itinerary planned. He’d been planning it since he was a youngling. The first item on his list was to dive into the pure blue waters. He’d visited many planets, but the few that had the elements to produce water were unsafe. The waters, none of which were blue, were either toxic and needed to be filtered before consumption. Or the liquid bodies were filled with life-threatening organisms intent on making a meal or a host of him. From his mother’s memories, Chen knew that most of the aquatic life on Earth was friendly, or at least not as deadly. The first thing Chen wanted to do was to dive into the depths of the ocean and allow the waves to crash over him. The next thing on his list was to sample Earthling food. He wanted to try blueberries, plums, figs and eggplants. He’d never experienced sweet fruits in his life. Taste did not translate well in telepathy, but sight did. It was true. He had a blue motif going on. And finally, well not finally, but the third thing he absolutely must do on this visit after his body had been washed in the waters and his belly was full of food, Chen planned to ride a Bengal tiger. These creatures fascinated him the most. He’d sifted a memory from his mother’s childhood where she’d seen one in a distance. There was the metallic taste of fear surrounding the edge of the memory. But unlike his mother, Chen could communicate with any species. He would make friends with the beast and then grab a ride. Perhaps the beast would like to accompany him back to the ship too, along with her. Excitement hummed through Chen at this amendment to his plan. As the ship moved closer into the Earth’s orbit, he plotted his visit. It had been nearly one-thousand revolutions of the planet around its star since his kind had visited. The beings there must be far advanced in enlightenment since that time. Chen imagined people helping one another, living in harmony with each other, the animals, and the planet. He would go down, experience the items on his list and then perform his duties. It would be a fulfilling experience all the way around. The no nonsense sound of his brother’s voice interrupted Chen’s plans. Chen turned around in his seat and into a face that was exactly like his own, except for the deep frown lines marring Hsing’s brow and the grim line that marred his expression. Chen hadn’t forgotten. It was burned in his mind, just as it was in his brother’s mind. Just as it was in every male aboard this ship’s mind. They both looked out into the darkness of space as though they could see the myriad of other beings who enjoyed stealing down onto the young planet against the orders of the Council. At the moment, the Heavens were barren. Chen’s eyes caught once more on the many hues of blue upon the orb before them. “All journeys come full circle,” Chen said. Hsing came before his brother and peered into his eyes. It was an unnecessary exercise. There was no thought Chen could hide from Hsing. Still, Chen looked away from the scrutiny. Hsing came closer and put a hand on Chen’s shoulder. The rare show of affection startled Chen. Hsing gave Chen’s shoulder a squeeze. Then he looked once more at the pale, blue dot before departing the room. Marching back to his command console no doubt. Chen followed his brother out of the rooms and into the common area. All around him he spied the devastation the war had on his people. Hsing had a point. He had to do what he must for their survival.